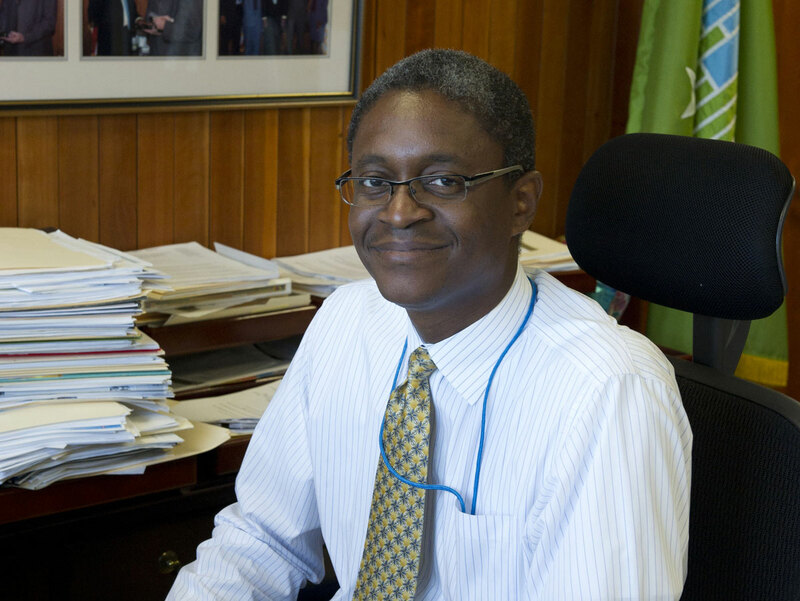 Raphael Bostic, Assistant Secretary for Policy Development and Research Valuable housing and community development research is often initiated by foundations, research organizations, independent researchers, or other government agencies. In many cases, this research has the potential to address key questions about HUD policies and programs that PD&R lacks the resources to support. In the past, PD&R used cooperative agreements to participate in the research that was organized, funded, and led by outside entities. The organizations leading the research sought guidance, input, or resources from PD&R, giving us the opportunity to shape the research projects to make sure their design allowed for the answering of policy and programmatic questions in ways that could inform new policy development efforts. These research partnerships proved fruitful, and produced important findings that influenced policy and program design. One of the most significant research studies conducted using a cooperative agreement was the Jobs-Plus demonstration, which tested whether combining employment and training services, rent incentives, and neighbor-to-neighbor outreach centering on work could improve the economic prospects of public housing residents. Jobs-Plus operated in six housing developments across the country from 1998 to 2003 and showed that carefully designed rent incentives and job supports in distressed public housing developments improves tenant incomes in both the short- and long-term. Jobs-Plus was initiated when the Rockefeller Foundation engaged with MDRC, a nonprofit research organization, to conduct a demonstration project involving public housing residents and local housing authorities that focused on job attainment and economic advancement. The team approached HUD as a potential partner, and PD&R staff worked with MDRC during the preliminary stages of the research design. A key feature of the Jobs-Plus demonstration was the diversity of organizations that contributed funding. Out of the $30 million spent on the demonstration, HUD contributed $6.8 million, mainly in the form of rent incentives. The balance of the funds came from a consortium of federal agencies and foundations that saw the value of the effort and wanted to ensure its success. As another example, in 1998, HUD used its cooperative agreement authority to support research that produced a series of case studies on mixed-income, racially diverse neighborhoods. Researchers from the Policy Research Action Group (PRAG), a consortium of universities and nonprofit organizations housed at Loyola University in Chicago, approached HUD with the idea to analyze the characteristics of stable, racially, and economically integrated neighborhoods to understand what set these neighborhoods apart from more homogenous communities. Mixed income neighborhoods were of particular interest to housing and community development policy makers and practitioners at the time, and programs like HOPE VI were designed to encourage mixed-income housing developments. With financial support from HUD, the researchers at PRAG conducted in-depth studies of 14 diverse urban neighborhoods in nine cities. The neighborhood profiles were published in an issue of PD&R’s journal Cityscape. These examples show how cooperative agreements can be a powerful vehicle for advancing policy-relevant research. These agreements allow HUD to leverage its limited resources in the pursuit of important studies that require signifcantly more support. In some cases, the resources can be a supplement to increase the scale or scope of the research. In others, the leveraging effect might be essential for the research happening at all. Cooperative agreements can also increase the number of projects in which HUD is a partner in research efforts. In this way, HUD can use its deep knowledge of current policies and programs, in addition to the political context, to make sure that studies are designed in ways that maximize their impacts. Unfortunately, for most of the last decade, HUD has not been authorized to engage in research partnerships using cooperative agreements. This has limited PD&R's ability to reap their benefits and play a more significant role as a leader in housing and urban development research. This year, however, the Congress restored HUD’s authority to enter into non-competitive cooperative agreements for research. This is an exciting development. Past experience tells us that research partnerships can generate great return in the form of robust, meaningful research. And particularly in the current fiscal environment, with budgets shrinking, our having tools at our disposal that allow us to leverage resources other than HUD's will become ever more important. It is a very welcome tool. PD&R is focusing its cooperative agreement efforts on research partnerships that will advance one of four key priorities: 1) gleaning knowledge from HUD demonstrations, 2) better understanding how housing is a platform that improves a person’s quality of life, 3) increasing use of American Housing Survey data, and 4) making improvements to the state of housing technology. Research partnerships will require at least a 50 percent match, to ensure we effectively leverage our investment. They are limited to research funded jointly with other governmental agencies or philanthropic organizations. PD&R will of course continue its support of research by funding projects with competitive grants and contracts. These vehicles have been mainstays of the Office, and will hopefully remain so for the foreseeable future. The new research partnerships that will be established using the cooperative agreement authority, will expand PD&R’s research program allowing it to inform a wide array of HUD’s policies and programs. I encourage you to consider finding ways to participate in this program, and help create an evidence base that improves our existing policies and sparks new innovations that help improve quality of life across the nation. Questions can be directed by email to ResearchPartnerships@hud.gov or by telephone to Sarah Schaefer, Office of Policy Development at (202) 402-6846. Proposals can be submitted via email to ResearchPartnerships@hud.gov.